Plan it Yourself or Hire Someone? Home > Planning > Plan it Yourself or Hire Someone? To plan or not to plan? Planning an event, especially a big one can be time consuming, stressful and a lot of work so it is important to consider whether you can tackle it alone or whether it is better to hire someone to plan it for you. Here are some of the pros and cons of hiring an event planner. 1 – Hiring an events planner can save you a mammoth amount of time as planning the details of a large event can be very time consuming. Planning it yourself is not always practical if you have other commitments such as a family or a full time job so hiring someone can take the weight off and make life easier.2 –Having a planner is extremely useful as they often have professional contacts which would otherwise be unavailable to you and are more likely to get deals and discounts from companies e.g. caterers, entertainers etc. This is especially good when planning large events as costs all add up so any discounts are a bonus. 3 – Events planners are useful to have as they know exactly how to create your vision for your event. They have skills and qualifications which will ensure your event will turn out exactly as you hoped. 1 – Some people can feel out of control if they hire someone to plan their event as the main choices are out of their hands. If you are the type of person who likes to make decisions and remain in control then maybe hiring a planner isn’t the best option.2 – If you have an events planner organising your event, it could seem impersonal and generic which may not fit with the atmosphere you want for your event.3 - The cost of hiring an events planner can often be extremely high which is not suited to everyone’s budget. Sometimes it is better to learn the skills needed to plan the event and then do it yourself to fit within your budget. This is more suited to smaller events when the planning and costs are more manageable and it doesn’t disrupt your daily life too much. Part of the excitement of organising an event is the planning stage. You get to see all your visions come together to create the perfect event. This can still be true if you work with an event planner. You need to make sure that you talk to the person you hire and work with them. Most will be happy to take on as much responsibility as you want to give them. 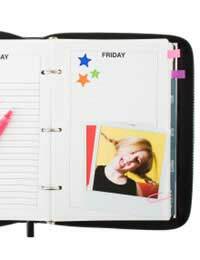 You could work alongside the planner only utilising their contacts or you could leave the whole thing to them. However, just make sure you talk to your event planner and choose one you trust. Then you can have as much or as little input as you want. Hiring an events planner can be a brilliant way of organising an event without the stress and anxiety but it depends on your event budget. If you decide to plan it yourself, make sure you are completely organised and it should all go to plan.